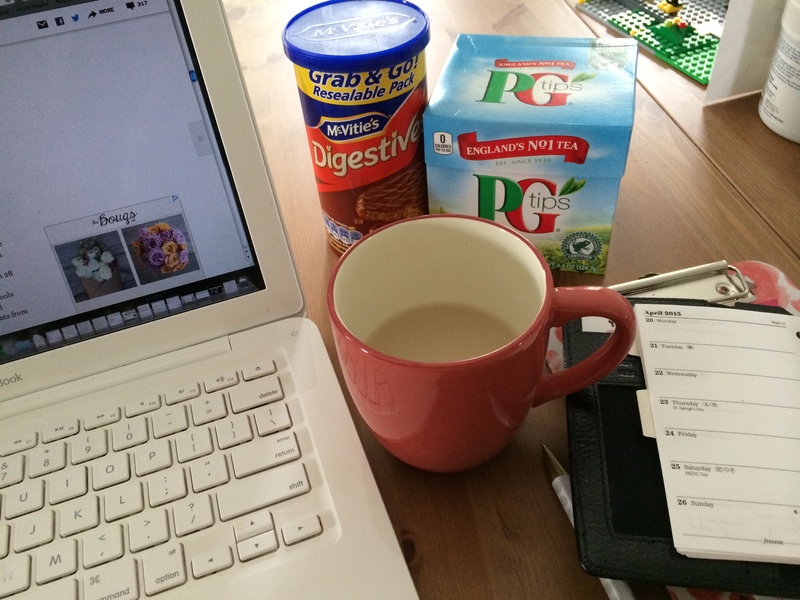 My husband brought PG Tips back from London years ago when he was on a work trip. He told me our English friend said it was the best tea. Now it’s readily available in the U.S. and I pick it up at Whole Foods along with some McVitie’s digestives. They look and taste like cookies dipped in chocolate, but they’re not right? They’re digestives and that is what I call them. A strong British cup of tea and a biscuit are often my mid-morning small comfort. What is yours? When I could drink caffeine, earl gray and crumpets. I think I want my mid morning comfort to be yours! I need to get to Wholefoods. I love good British tea. Mine is that second cup of coffee when my son is napping and my daughter is in school. The house is quiet and I have an hour to myself. Two cups of excellent coffee in bed first thing the morning as we discuss the day ahead. A pot of Twinings English Breakfast tea and a good book by the fire in the evening, after dinner is done, all chores completed and the house neat and tidy. These comforts bookend my day. You can add me to the hot drink/sweet treat camp! If you have not already found this show, I think you you will love it. Thanks Heather! I’ve seen a few episodes of that show, but not that one!